A former pro on friendships forged through tennis. 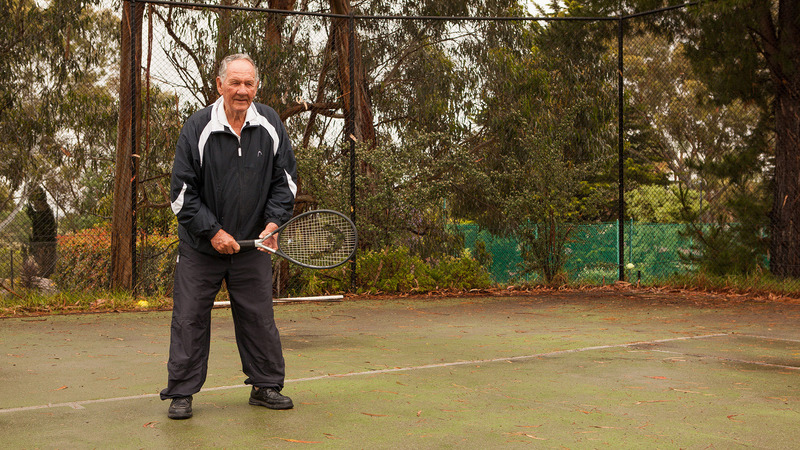 If you judge your wealth by the quality of your friends, tennis has made coach Donald Tregonning a very wealthy man. When he looks back on his time as a pro player in the 1950s, it’s the great friendships he’s forged that he has carried with him throughout his many years in the sport. So began young Donald’s love of tennis and the camaraderie of his fellow players. These early years, and indeed the rest of his career, were dominated by the most valuable commodity a person can have – friendship. Shortly after he began playing junior matches, Donald partnered with Mervyn Rose, who would go on to play at Wimbledon and a number of international championships. This buoyed Donald to the idea of travelling to Europe with friends, to try their luck playing tennis there. After arriving in the UK and meeting up with Peter Cawthorn, the two travelled Europe, competing in various tournaments. It was a friendship that would define Donald’s early years, and one to which many junior players can likely relate. After returning to Australia, Donald went pro, played a string of championships and opens, and eventually began coaching back at Paddington, England. Following a stint in Denmark, Donald left his coaching mark on many famous courts across the globe. From training the Davis Cup team in Denmark and being one of the first coaches at Kooyong Lawn Tennis Club, to championship courts in the US and Japan. It’s a passion he still follows to this day, coaching from a home court in Templestowe, Melbourne.